Home>Giveaways> Quiz: Which N.W.A. Member Are You? 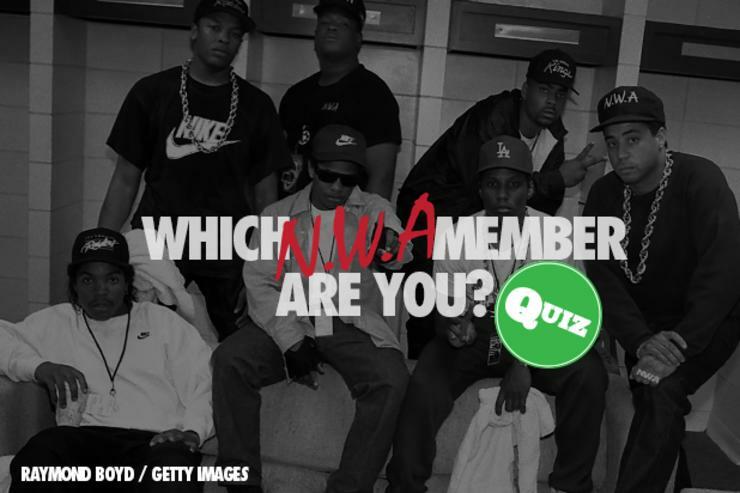 Find out which member of the iconic "Straight Outta Compton" group you are. Eazy-E, Dr. Dre, Ice Cube, MC Ren and DJ Yella made up one of the most important rap acts of all time, but if you've seen the new biopic, Straight Outta Compton, you know they all had very strong individual personalities. Everyone has a favorite member of the group, but today, we're giving you the chance to see which rapper or producer you're the most similar to. Our quiz will determine whether you're an Eazy-E or an Ice Cube through a few simple questions (Hint: the fitted caps are a good way to find your way to the right member). Take the quiz below and share your final results with your friends and in the comment section below! GIVEAWAYS Quiz: Which N.W.A. Member Are You?